When most students his age are in college, S Chandrasekar has won a gold medal in Computer Science at IIT Madras. At 17, he is the youngest Indian to have aced Masters in Technology with a CGPA (Cumulative Grade Point Average) of 9.85 on a scale of 10. Take a quick look at his curriculum vitae and you would think that Sekar — as he is addressed by his friends, family and peers — was always destined to achieve this feat. At 9 he became the world’s youngest Microsoft Certified Professional, MCP. At 10, he was the world’s youngest Microsoft Certified Systems Engineer, MCSE. The very next year he had the distinction of becoming a Cisco Certified Network Associate, CCNA. 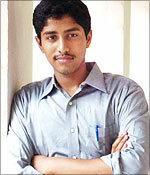 By 2002 Sekar had decided to go for an engineering course. However, he was only eleven then — he was born on September 25, 1990 — and children that age are hardly considered as engineering prospects. It was the vice-chancellor of Anna University, Dr Balaguruswamy, who decided to set up a six-member committee to appraise Sekar’s talents. No marks for guessing what happened then for Sekar’s genius won the day and he was soon admitted to an under graduate course in Computer Science. In July 2006 he found himself doing his MTech in Computer Science at IIT Madras after he scored 99.32 percentile in Graduate Aptitude Test in Engineering, a prerequisite for getting admission into IITs post graduate courses. In a telephonic interview from Chennai, Sekar spoke to Prasanna D Zore about his childhood days, his favourite sportsperson, people who played a crucial role in his career till now and his future plans. Were you always so brilliant since your childhood days? Yes. I used to be very fast in school also. I used to top my school regularly. Sports that you played while in school? I was essentially very keen on playing soccer and cricket in my school days. However, after Class VI, at the age of eleven, I joined a bachelor in engineering course in Computer Science at AK College of Engineering. How was that possible? From Class VI to an undergraduation course in Computer Science? By the time I was eleven I had completed three international certification courses: MCP, MCSE and CCNA. Based on my performance in these three certificates the vice-chancellor of Anna University, Dr Balaguruswamy called me. During our conversation the idea to admit me into a BE course popped up. It was then decided to constitute a committee of six people who would evaluate me to check if I was fit enough to be admitted into an engineering course at such an early age. After thorough evaluation of my talent and aptitude the committee gave a green signal and I was admitted to an engineering course in Computer Science. When did you complete your graduation in engineering? I was admitted at 11 and by the time i turned 15, in 2006, I was an engineer in Computer Science. I passed throughout with first class with distinction. How did an MTech at IIT Madras beckon? When I was into my third year of engineering I gave my GATE. I scored 99.32 percentile in this test and became an alumnus of IIT Madras in 2006 as an MTech student in Computer Science. Did you work very hard to get the 99.32 percentile in GATE? Not actually. Like most of my colleagues I studied hard only for three months. I did not attend any specialised classes and for this I must thank my college professors for giving proper guidance. Any difficulties that you faced through your academic journey? Not many actually. Not at least in my school and IIT days. Of course, when I joined my engineering course at eleven it was some kind of a shock to attend college with students who were in their late teens. Luckily enough nobody tried to rag me when I joined college. Most seniors treated me like their younger brother. However, within the next six months everything was normal and I began to feel a part of the campus environment. I was born in Tirunelvelli. I am the only child in my family. My father is a practicing auditor and my mother works for Canara Bank . Currently I am working as a Researcher with Tata Consultancy Services at Chennai. Who is your role model, your inspiration in life? I would not like to single out any individual in particular. There are several people who have influenced me and are still a source of inspiration for me. Some of them are S Ramadorai of TCS, Ratan Tata and N Narayanmurthy of Infosys, and also Sachin Tendulkar from the world of sports. How does it feel to be the youngest MTech that India has produced yet? I am indeed very happy and it is a proud moment for me, my professors and my family. However, this is just a starting point. There are many more milestones to be passed yet. Who would you credit with for your success? There are four-five people actually who have influenced me to achieve this feat. My school helped me a lot when I was doing my MCSE and CCNA. They helped me by providing enough support and leave so that I could concentrate on these courses. Generally, you don’t expect a school to be happy about students bunking classes. After that Covansys India supported me financially for almost six years till I finished my BE. I would also like to thank Dr Thangaraj, the principal of my college — AK College of Engineering (now Kalasalingam University), affiliated to Anna University — from where I did my engineering. He provided wonderful support and a good atmosphere when I was just eleven and entered a world where most other students were 7-8 years older than me. His support played a crucial role in my getting over my inhibitions about college life. I would also like to thank TCS as they have been supporting me financially for the last two years and also my professors at IIT Madras. Currently, I am pursuing research in cryptography but I might enter a new area later. However, I would love to continue in the field of research in Computer Science. This entry was posted in Uncategorized and tagged brilliant student, India's youngest M.TECH from IIT, intelligent, outstanding student. Bookmark the permalink.